She remembered hearing of this killer jam that we had made together some years back that we raved about. It was the best jam ever. I told my cousin it was blackberries, raspberries and blueberries and the recipe would be generally the instructions from a Sure Gel box. 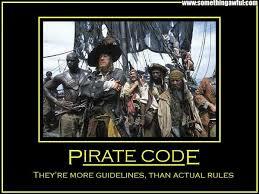 I further explained that we considered recipes to be a bit like the Pirate Code: Not to be followed exactly, but more of a guideline. A chuckle was returned from her end as she relayed that they too “fix” every recipe they see to make it just how it would go best in their repertoire. She messaged my sister as well for the jam recipe and was given about the same answer as mine. So I got to thinking about why those batches – we made many- were so delectable. First, the berries were all picked by our own hands that day. Second, we probably used 20lbs. of sugar (you have to adhere to the sugar guideline or it breaks jam rules). Third, it was the sweat, laughter and love that set it apart more than anything. If you’ve never gone to pick massive amounts of blackberries, let me relay what is involved. The berries generally are ripe when it is the hottest, most humid days of the year. The branches are so full of thorns that they make a scared cat with it’s claws out seem like a teddy bear. So, in order to keep from having permanent scars all over your body, you succumb to wearing very heavy thick denim overalls. 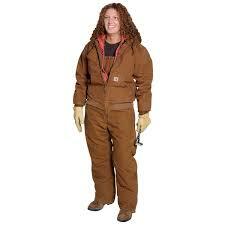 Carhartts come to mind and work very well. Did I mention it is always the hottest days of the year that you decide to go pick? Now you know where the sweat part comes in. The laughter starts just before the sweat when your trying on everyone’s overalls in the house before you go out. Older pairs are dug out that family members have outgrown thinking that those would work well. Until you realize that we too might have outgrown them and should any bending be required, well, lets just go for a larger pair. How is it that there are no midsize pairs and we are left in gargantuan overalls that fit the six foot guys and we are the more height-challenged Hively(mom’s family) women size? The laughter continues as we slog through the brier patches catching every extra inch of material on every two inches of the thorny stalks and while it is personally frustrating, it is hilarious to watch the other person. The real problem with picking fresh berries is that you can always see just a few more really good berries just another step or two into the thicket causing you to get further and further into a trap. 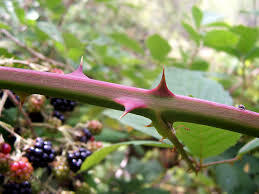 Then inevitably, someone in the middle of all the bushes, feeling that they might never dislodge from the thorns sticking into them from all directions, remembers they didn’t go to the bathroom before heading out. Screams of “don’t make me laugh” are shouted as there isn’t even room to bend over hoping that will help to keep from a leak. Then there is the “oh heck, I’m sweating so much I can’t tell what’s running down my leg anyway” comment. The laughter continues once into the house to wash and prepare the berries as probably we are giddy with the sudden weight loss and dehydration of sweating through all of the clothing. The raspberries were picked when the blackberries were – same kind of routine with thorns and such. The blueberries were harvested after removing he overalls and the trip to the ladies room. Each batch varied a little in the proportions of each berry as how will one know what is best if you don’t try all combinations? They were all so good, we never cared which one was later picked to eat. The time spent together loving each other’s company and sharing our own stories and faux pas gets infused in those jars and is what sets them apart from anything you can ever buy. 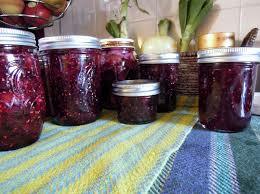 The jam is beyond good and is like my beloved favorite pie in the world – elderberry. I love the flavor, but it is the knowing that it takes great effort to get the berries, time spent with others in plucking for hours and someone knowing you love it making it for you that makes it the best on earth. You can buy jam, but it isn’t the same. I am rolling laughing! I KNEW there was a Jammin’ story, this is it and it is fabulous! So true, there is something special about homemade jam that can not be bought! By the way, our jam turned out quite tasty but the journey was not quite as epic as yours (we didn’t need carharts to get our strawberries)! But the berries were “real” and made in fellowship and fun by my work family, and you can taste the love! 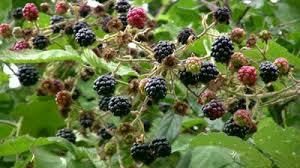 Now, I can’t wait for our blackberries to come in, and I will think of you while making new memories with my kids picking berries and making jam! Can I also say I feel so honored to be mentioned in your blog, like a superstar!